On July 2, 1881 office-seeker Charles J. Guiteau shot President James Garfield at the Baltimore and Potomac Railroad Station in Washington, D.C. Neither the bullet that grazed his shoulder, nor the one that became lodged behind his pancreas immediately killed Garfield, however. For the next two months, Garfield grew steadily sicker, as his doctors – like most American doctors at the time – eschewed Lister’s antisepsis techniques and repeatedly introduced infection into the President’s wounds. Candice Millard’s The Destiny of the Republic is one of the most stunning works of narrative history I’ve read in some time. “Reads like a novel” is a phrase that gets thrown about too often, but in the case of The Destiny of the Republic, it really is true. Millard weaves together Garfield and Guiteau’s stories, along with those of Alexander Graham Bell, New York politician Roscoe Conkling, and, to a lesser extent, Joseph Lister. 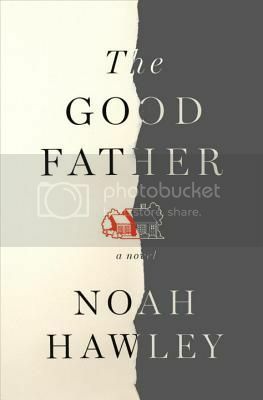 She provides just the right amount of background on each of these men and their work and lives; the reader gains a good understanding of how each man or his work interacts in this national tragedy without becoming bogged down by extraneous information. Throughout The Destiny of the Republic it becomes clear that Garfield was a remarkable man and had the potential to be an incredibly remarkable president. 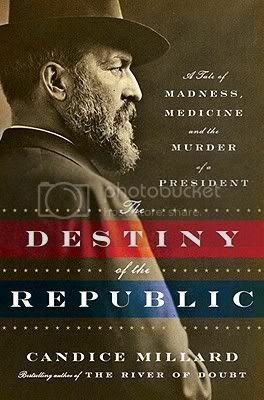 Although he did not get the opportunity to prove his mettle in the presidency, his assassination served to revolutionize the politics, medicine, and other technology of the United States. Garfield’s story is absolutely fascinating, and Millard relates it flawlessly. Highly recommended.